In the first part of this series we looked at important factors to consider when designing your deck foundation. In part two, we’re going through the frame and surface of your deck, how loads affect it and how they work together to create a safe and strong structure. 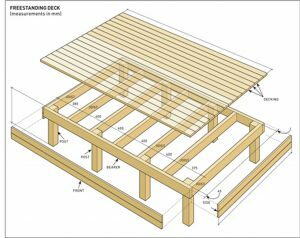 Diagram showing deck components: beams, joists, decking. 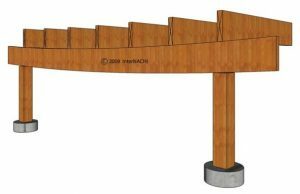 The purpose of the beam is to support the deck joists and boards along with the weight of your furniture and human traffic on the surface. The beam has to be strong enough to support this weight and transfer it down into the concrete footings and into the ground. 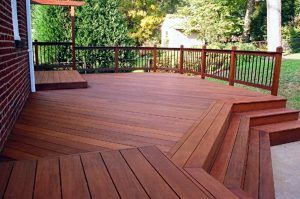 When designing your deck you must consider the distance between the footings or the span, the type of wood such as Spruce, Pine, or Fir and the dimensions of the wood. For example, some species of wood are stronger and thus able to support more weight across the span. This means that you can go with less footings or you can use a smaller dimension of wood for the beam. If you choose the wrong combination of wood, dimensions, and span you risk your deck sagging or worse collapsing. Sagging deck beam: wood species, span, and/or dimension incorrect. Deck joists are the intermediary between the deck boards and the beam. Some of the same factors that affect beams also affect joists. These include the load , the dimension and species of wood used for the joists, and the spacing between the joists. There is a relationship between the joists and the deck boards and between the joists and the beam. Spacing the joists further apart will mean you need to use heavier boards on the surface while the spacing between the beams will determine the wood dimension necessary for the joists. The aesthetics of the deck boards also comes into play. For example, 5/4″ deck boards have a different look from 2 x 4 deck boards which also look different from 2 x 6 deck boards. Add to that boards angled on a 45 degree angle or using Cedar or Ipe deck boards and you have a myriad of combinations that need to fit together perfectly for a successful project. Deck boards provide the finished surface of the deck that you and your guests will see and admire. Deck boards can me made of pressure treated wood, Cedar, or Ipe which is by far the most beautiful and expensive of all the options. T he deck boards are where the load from the top of the deck is first transferred through to the rest of the structure and into the ground. By knowing the final finish before hand you can adjust all the other elements to create a safe and sturdy deck you can enjoy for years to come. 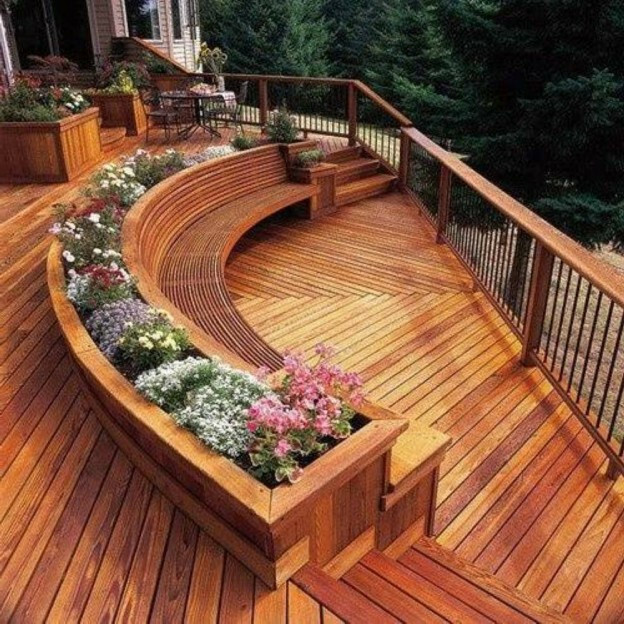 Proper deck construction gives you the freedom to design a work of art! All these components function together as a single unit to transfer the load from the surface of the deck to the ground below. Many contractors will use the same design for all their decks but you must consider your specific site conditions. Different municipalities will have specific standards for the different deck components in their jurisdiction. What may be acceptable in Toronto, may not work in Mississauga, which may is different from standards in York Region where soil conditions and weather patterns differ. 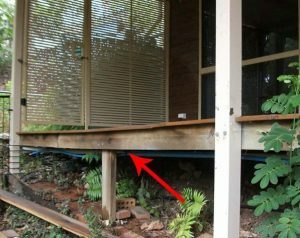 This is why it is very important for the long term durability of your project to design a deck using the right materials. Discuss these factors with your contractor or the designer of your deck to ensure you’re getting a quality project. In part three, we’ll study the connections between the different components and their importance. Look for this update coming soon!